CALL 301.638.9788 OR E-MAIL grouptickets@somdbluecrabs.com TO START PLANNING YOUR EVENT TODAY! 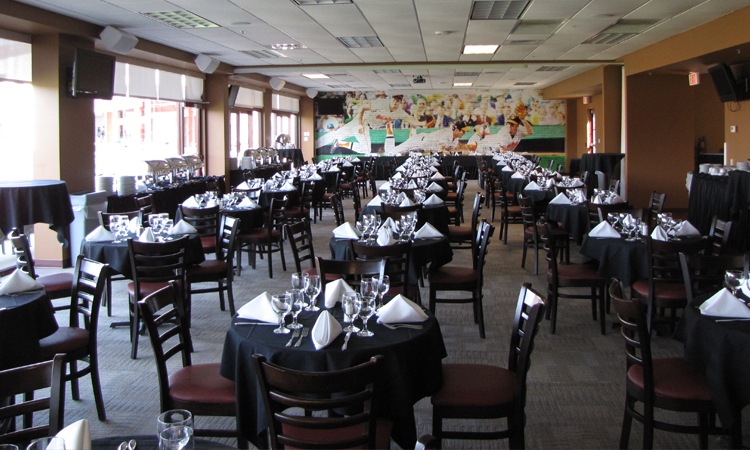 The Legends Club at Regency Furniture Stadium, home of the Southern Maryland Blue Crabs, is the perfect venue to host your party or gathering for any season. Dates are booking fast for dinner parties and luncheons for the 2018 Season. The menus offered this season are a range of eclectic favorites! The Legends Club is also available to book for wedding receptions, birthday parties, office meetings or any other special gathering that requires a top-notch setting. We offer a variety of catering options. It’s never too early to book your party or gathering in the upscale Legends Club at Regency Furniture Stadium.